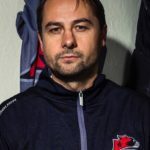 Murrayfield Racers host Sheffield Steeldogs on Sunday aiming to end their NIHL North Cup campaign on a positive note. 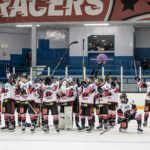 The Racers have used the cross-border competition to test themselves against higher-level opposition and the experience has proved beneficial to their form in Scotland. They are currently just two points off top spot in the Scottish National League (SNL) with two games in hand and are well-placed to mount a serious title challenge. Tony Hand’s side are also through to the final of the Stuart Robertson Cup and semi-final of the Scottish Cup, giving Racers’ fans plenty to look forward to during the second half of the season. Netminder Mark McGill has been a standout performer for the club this term, recording a near .92 save percentage in SNL competitions. 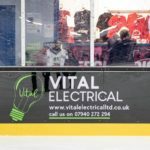 Despite the tougher nature of the games against the NIHL North sides, McGill says the team have enjoyed the experience. “The season is going well, considering it’s our first in the league and not all the boys knew each other before the start,” he said. “We’ve worked really hard in practice and I feel it’s paying off with our league position. 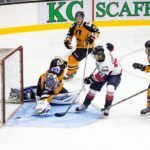 “The Steeldogs game will be difficult. They are a well organised team with a lot of talent, but we will prepare for it the same way we do every game and hopefully we can pull out a result. Please click here to purchase tickets for the game.